Dubai, UAE, September 03, 2018: After taking the international cosmeceutical skincare market by storm with its innovative and highly effective products, Los Angeles-based luxury cosmeceutical brand Dermatologic Cosmetic Laboratories (DCL) has arrived in the UAE. Offering a range of advanced skin and haircare solutions that provide proven results for common ailments including acne, skin ageing, dryness, oil control and pigmentation, the collection consists of 14 wonder-products, that cover every major skin and haircare woe. Working closely with leading dermatologists, plastic surgeons and researchers to develop innovative skincare that really works, each product is packed full of high-quality ingredients including peptides, retinoids and vitamin C. Made with luxury in mind, the condensed high-quality ingredients offer long-lasting results, for the ultimate high-performance skincare solution. 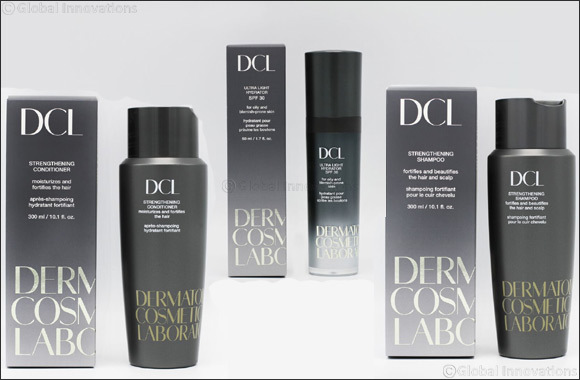 Championed for being the first company to incorporate glycolic acid – the holy grail of skincare –into a commercial consumer product, DCL is a market leader in developing breakthrough formulations that focus on all layers of the skin for overall health, with results that go deeper than just the surface. As a company with an ethical approach to beauty, DCL products are not tested on animals, free from parabens and hypoallergenic. Dedicated to research and development, DCL is continually seeking out even more innovative ways to give a brighter, fresher and more youthful complexion.